Facility Client Reviews, Rating and Analysis Report. 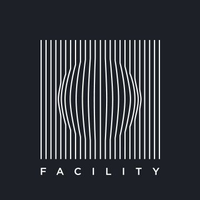 Facility is a creative digital agency. We create personality websites and unique images of brands. We work in an integral manner and address projects in the following dimensions: Creativity, Strategy, Technologies. Law Offices of Grechkivsky — boutique law firm with many years of experience. We created a corporate website for the law firm, with a unique for this industry structure and conservative design. Facility team done the project "Chemoteka" for our company within the required timeframe and quality. chemoteka.com.ua is not only a website, but also the first system in Ukraine that allows you to calculate the cost of 1 cycle of treatment with cancer drugs. It helps doctor to create individual treatment schemes and prescribe an electronic "ChemoRecipe". Facility specialists worked out well and coped with the task. Thanks them for good job! We can recommend this company as a professional developer and partner who deeply delves into the essence of both the client’s business and the task. Great Team, with a superb vision and a great client attitude. It was definitely a pleasure to work with them. Highly recommend to everyone who is looking for a reliable partner with fresh ideas and global design expertise. Great job, we’re very satisfied! The team at Facility has gone above and beyond to meet our needs and far exceeded our expectations! Amazing work! Nice service and great quality !